By now, just about everyone who follows football has heard of Real Madrid's reappointment of Zinedine Zidane as manager of the club. The shock move for Zidane has inevitably brought back the age-old transfer saga of Eden Hazard. Hazard has been linked to the Santiago Bernebau for what seems like a lifetime and it's gotten to the point that Chelsea supporters need to just let him go. If he doesn't believe that he can achieve the title of 'greatest in the world' in west London then he should be allowed to move on. 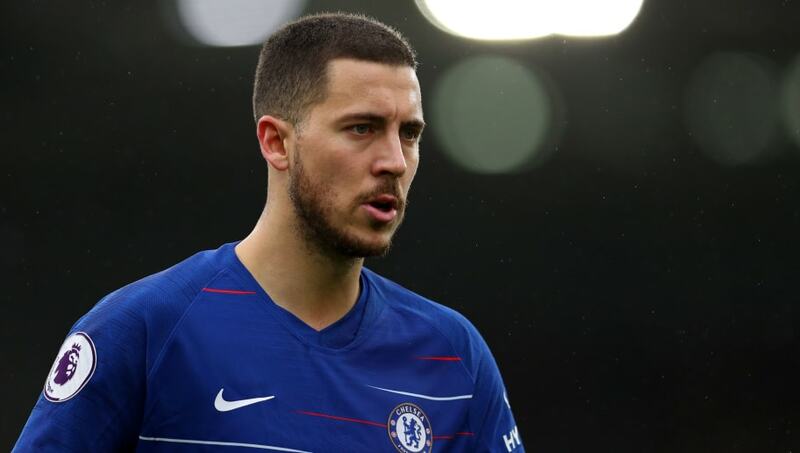 Hazard has given seven great years of his career to the Blues and has won just about every team and individual honour English football has to offer. Every time a transfer window opens, Real are linked to the Belgian playmaker and talks have heated up since the departure of Cristiano Ronaldo to Juventus. If Real believe Hazard is the man to bring them out of their massive decline in form this season they can simply have him, for around £100m, of course. The 28-year-old has been hyped up as the man to dethrone Ronaldo and Messi at the top of the game for half a decade now and it just doesn't seem to be happening. Chelsea have had six different managers since the Belgian arrived in the summer of 2012, each with a different coaching style and formation. Hazard has been on the fringe of absolute greatness with each one of them but has inevitably fallen off at one point or another. Being the best player in the world requires consistency over time, something Hazard hasn't been able to provide over the course of his career. Why would this suddenly change under Zidane? It is well known that Hazard admires Zidane as an idol and has wanted to play under him ever since he was first appointed as manager of Real Madrid in 2016. This dream never materialised and Hazard has been left carrying the weight of the Blues on his shoulders in every season. With managers being an ever-changing variable and strikers failing to shoulder the burden, the dynamic midfielder has been one of the only constants in recent memory. The only problem is that Chelsea have fallen down the ranks in Europe and Hazard hasn't been able to stop it from happening. All of this doesn't mean that Hazard is a terrible player, but he simply can't produce a consistent final product for an extended period of time. The Belgian started strong under each manager, adapting to the style of play and making himself a presence whenever possible, but he would always disappear in the second or third season being led by the same man. The best example was under Jose Mourinho in the 2015/16 season. Hazard scored 17 and 19 goals respectively in each of Mourinho's first two seasons, but his stats dramatically fell off in 2015. The 28-year-old made his feelings clear about Mourinho's style of play and was reportedly one of the main voices for pushing the Portuguese manager out of Stamford Bridge. If the move ends up materialising and Hazard does end up in Madrid next season, he will be joining an ageing squad that has played well below their potential in many people's eyes. While they have young talent across the board, Real's veterans have shown major flaws after Ronaldo's exit in the summer. It is hard to argue that Hazard is even much of an upgrade on the pieces that Real already have at their fingertips. Isco's quality has become largely forgotten as he has played a bit-part role this season, and Vinicius Jr has shown glimpses of star potential in his first season in Spain. ​Isco can already claim that he has succeeded under Zidane and has three Champions League medals to show for it. Real Madrid go into every season with the expectation they will win the Champions League. The astronomical expectations at the club require a star that can handle the pressures of the biggest stage in Europe and while Hazard is a solid player, he will not be the man to bring greatness back to the Santiago Bernebau.